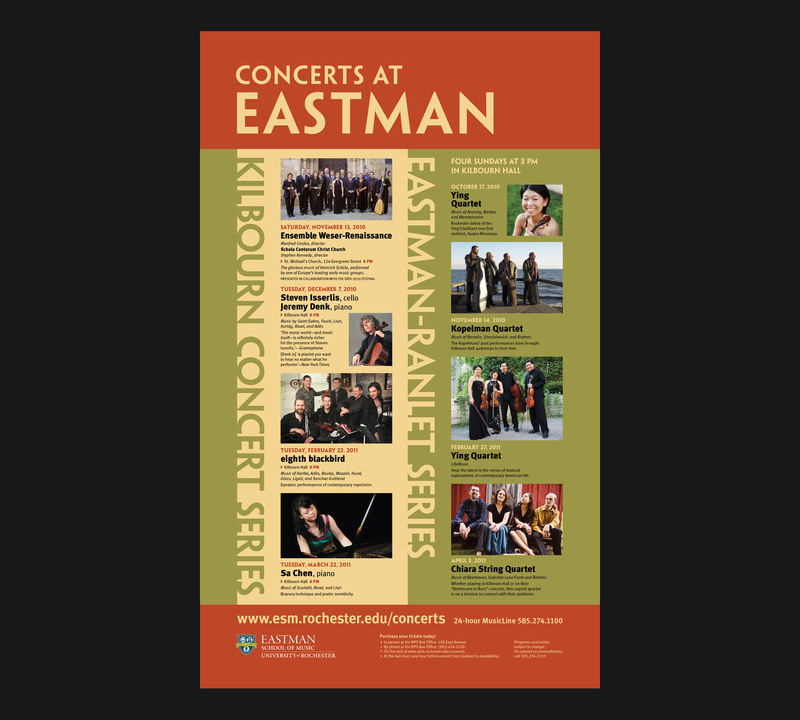 Outdoor event posters designed for the Eastman School of Music. 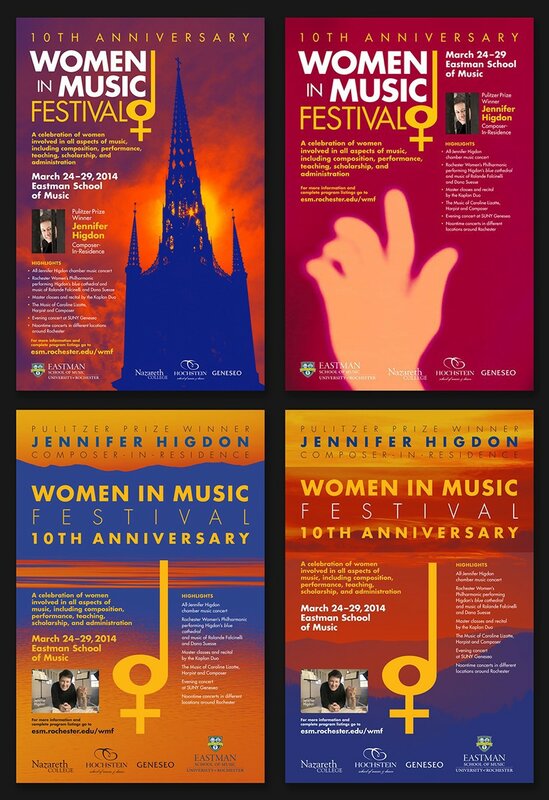 Women in Music Festival 10th Anniversary, final design and three alternates, all incorporating existing logo design. 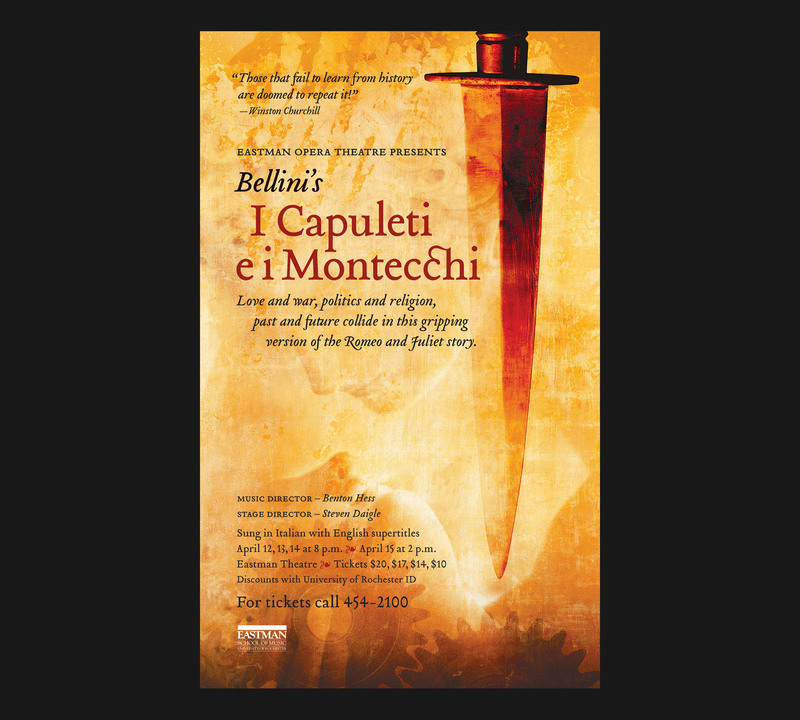 Poster for Eastman Opera Theatre production of "I Capuleti e i Montecchi." 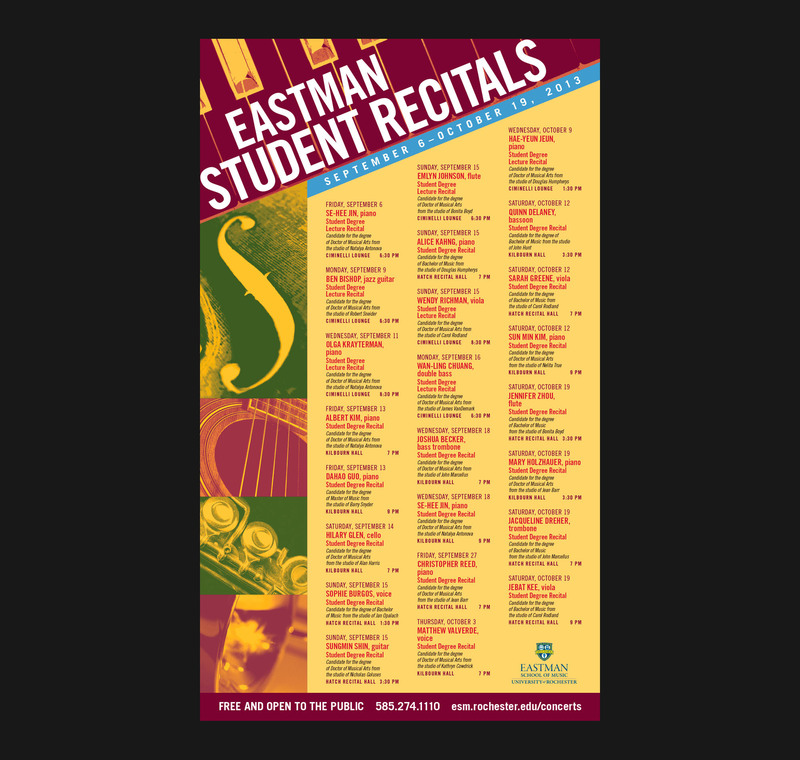 Poster to promote student recitals at the Eastman School of Music. 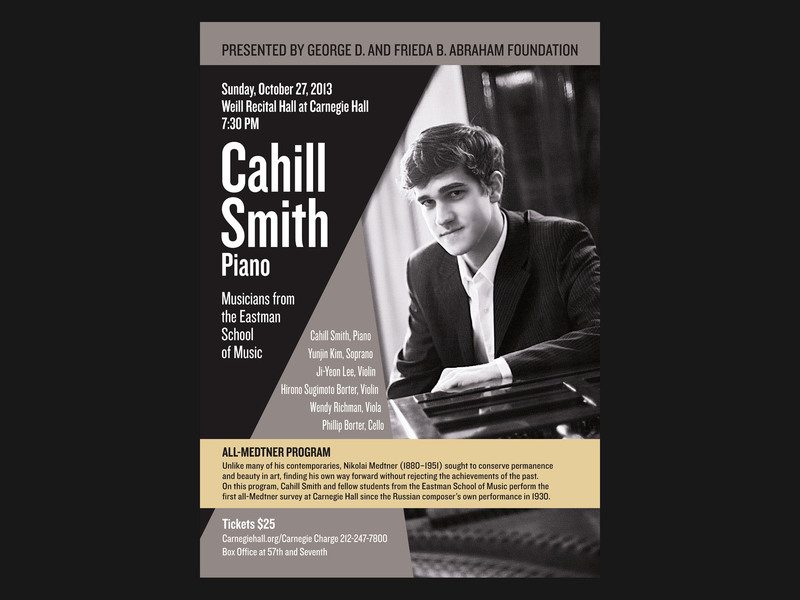 Poster for recital at Carnegie Hall (draft). 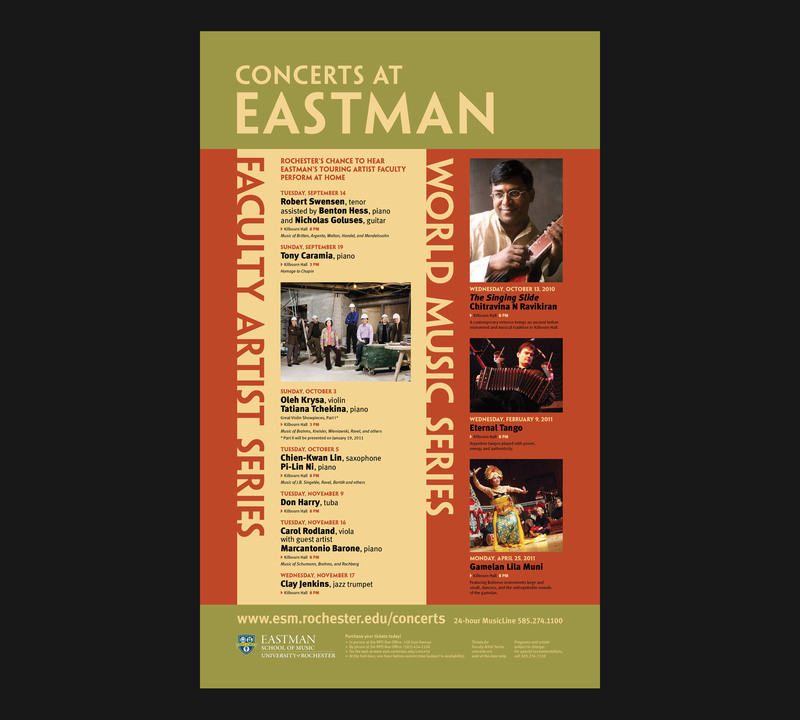 Poster for faculty and guest recital series. Poster for guest recital series.